You've got the wrong table! This article or template is using HTML tables rather than wiki markup. Please convert any HTML into wiki markup before removing this tag. "Dismal is pee in your cheerios." Dismal Dupar is a Sith Warrior of the Dark Jedi Brotherhood, who serves under the banner of House Marka Ragnos and Clan Naga Sadow. Dismal is known for being generally brash and reckless, and usually does things on the slightest whim. Since being imprisoned and tortured during the Invasion of Jusadih, he has shown signs of a neurosis. The Siffian has not looked deep into the issue, however his emotions tend to vary in a very quick timeframe. Dismal Ryokou was one of three children born to Michael and Cristina Ryokou on the Imperial planet of Sif. Both of Dismal’s parents were employed in the Emperor’s Hammer's corporate division. All of the Ryokou children lived what could be considered a ‘normal’ childhood in their parents’ loving care and watchful eye. Soon it would come to attention Dismal’s Force-sensitivity. A Jedi Knight by the name of Susan Fortis was on a mission to the boy’s homeworld on the year 3 ABY, scouting for Force-sensitive children. Knowing the dangers of a Jedi on an Imperial aligned world, the woman came under the guise of a doctor, offering free blood tests to children four years and older. She arrived soon at the Ryokou household, and bearing a fake medical license and Force-aided trickery, Dismal’s parents gave their consent for him to be tested. Very promptly, the results of Dismal’s blood test returned: he was indeed sensitive to the Force. The Jedi Knight snuck into his home the following night, snatching the boy from his bed. Susan knew what she was doing was wrong, but she also knew that it was for his own good. So, the Jedi left the planet with the child, where he would begin his training as a Jedi. Susan went straight to Dantooine, watching after Dismal as if he were her own son. He eventually grew out of boyhood, and continued his training throughout adolescence. In 15 ABY, Dismal had reached the peak of manhood, and was proving himself a capable Knight, already well into the construction of his first lightsaber. However, one thing impeded the man. His emotions constantly got the best of him, and his actions for the most part seemed reckless and rather brash. Susan, now a Jedi Master, constantly warned him to keep his emotions in check, and think about things well before doing them, but this he could never quite do. He would always lash out with little provocation at the younger Jedi, and would hurt the local Padawans in lightsaber duels, using his strength to full advantage. Dismal was also very fond of researching the dark arts. As time wore on, his interest grew and grew. By 18 ABY, he had begun to secretly practice techniques of the dark side. This finally came to the attention of the Jedi Council in 20 ABY, and Master Fortis was instructed to scold her apprentice, and then summon him to a hearing before the Council. Somewhat reluctantly, Susan agreed, going to fetch Dismal. When she arrived at the man’s quarters, she began to do as instructed. It was then that the man revealed all that he had been doing, and his true dark intentions, and the errors he saw in the way the Jedi managed things. Fueling his actions with anger and hatred, Dismal drew his saber and slew Susan Fortis, who was by then well aged. Dismal quickly fled the temple on Dantooine, stealing an X-Wing and traveling to Chandrila. There, he hoped to live in peace and continue to hone his skills on his own. He soon began to hear word of a pirating group called the Crimson Tide, which had an outpost on the planet. In need of an income, he went to the Tide’s facility and enlisted. 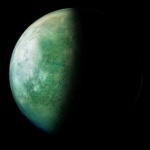 All Dismal was told was to assist the Tide in destroying a group of Dark Jedi located in the Acarr System. His past life as a Jedi as well as his years of service to the Tide swelled his ego, and he attacked full throttle. The battle was ruteless, with it appearing at one point that the Tide might actually win. Slowly, though, Dismal's squadron was destroyed until only he remained. Then, his own ship was hit, and he was forced to retreat out of harms way. A good thing, too, since mere moments after doing so Dismal watched as the Dark Jedi trapped a large number of the Tide's forces into the system, and then he watched them die as the sun went supernova. What was left of the Tide jumped back to hyperspace, ending up on Mygeeto where they slowly started to lick their wounds. It had never been discovered who exactly it was that hit Dismal's fighter, forcing him to leave the battle and thus survive, but there is strong evidence to suggest that Aabsdu was behind it, since it has been proven that he took down a number of Dismal's squadmates. In 25 ABY, Dismal was beginning to tire of numerous defeats and low-level jobs assigned to him by the Tide. He was one of few in history who resigned and escaped from the Crimson Tide alive. One day while sitting in a cantina on Nar Shaada, Dismal was approached by a cloaked, shadowy figure. With the crime level on the planet so high, the retired assassin immediately put on his guard. He was promised a powerful life in a Brotherhood of Dark Jedi if he would just follow him. Dismal, his life only consisting of one night stands and watered down drinks, followed eagerly. The two flew to a backwater planet in the Antei system named Lyspair, and Dismal was enrolled in the Shadow Academy, where he was put through rigorous tests and exams. He passed every one with good marks, and was eventually assigned to House Exar Kun of Clan Plagueis, where he met up with his brother Galaphile once again. The newly promoted Apprentice was assigned to House Exar Kun of Clan Plagueis once he graduated from the Academy. The shuttle ride was long and dreary, as opposed to what the rest of his life would be. Upon arriving on Aerun in the Jusadih System with other eager graduates, Dismal was placed into the care of Jaysen Erdon, House Exar Kun’s Envoy at the time. The Apprentice was very eager and willing to learn the Dark Arts and Lore, visiting the Shadow Academy on numerous occasions to complete various exams, training with Hunter Erdon, and meeting the House’s Summit in various meetings. Dismal rose through the lower echelon ranks in no time. Upon reaching the rank of Protector, Dismal was approached by Krath Archpriest Scorpius. The Archpriest said he saw great potential in the young man, and extended an offer for the Protector to become his student. Dismal was elated and eagerly accepted the offer. The pair worked tirelessly into the night, practicing things such as piloting, Sith Alchemy, and lightsaber combat. In a mere month, Dismal was promoted to Guardian. His brother, Galaphile, was finding the job of a Battleteam Leader too stressful once the team Blades of Kun was closed, so he resigned from the post. Dismal, who had been Executive Officer of Blades of Kun, was ready to assume the role. He composed an application and sent it in for approval. In days, the Guardian was chosen. Dismal was promoted to Jedi Hunter during his tenure of Sith Commander of Exar's Shadow, and once stopped a conflict his team and opposing team Satal Victus from escalating into full out war. In a short period of time, the position of Aedile became open in House Exar Kun. Dismal, who had already proven his leadership capabilities, was chosen very soon. During his Knight trials, Dismal completed a number of difficult tasks. This list includes, but is not limited to: assassinating the Hutt crime lord Morga, investigating a shipwreck in the dangerous Decarian jungles, and killing rogue Jedi Knights which proved a threat to Clan Plagueis. The tasks, coupled with Shadow Academy exams and leadership, qualified Dismal for promotion to Dark Jedi Knight. The Knight continued in his position as Aedile, however as time wore on, he, like his brother, found the stress too much. He resigned, and remembering the help Jaysen Erdon offered him, he wished to inherit the vacant title of Envoy. And so he did. The Aedile emeritus was given the title of House Exar Kun’s Rollmaster and Envoy. Dismal was somewhat successful in this newfound position, giving the newer members of House Exar Kun the guidance they required. It was during this time that fellow Dupar and Consul Aabsdu saw that the Envoy had proven skill that outweighed his current rank of Knight. As such, he was given the rank of Sith Warrior. Time went on, and the Brotherhood was in store for something monumental. Months earlier, the Brotherhood engaged in a series of war games entitled Second Darkness, an internal competition amongst clans, giving the clans opportunities to prove themselves in combat. As the training ended, Grand Master Sarin called an award ceremony on Antei. Every clan and the majority of its members and forces were to be there. Given the lack of security in the Jusadih System at the time of the ceremony, Aabsdu appointed none other than Dismal to stay on Aerun, to supervise Diadem Fortress. An invasion was the last thing that the Warrior hoped for. Alas, Aerun and Diadem Fortress were under attack. The enemy was very foreign; their craft were organic and verydangerous. Dismal and his former master, Scorpius, helped to defend the Fortress until the last moment, when the great castle fell. The pair escaped in a TIE Phantom which they miraculously found in one piece. Scorpius and Dismal planned to escape the turmoil in which Aerun was now engulfed in, and meet then Clan Envoy Anochiir to fight against the invaders. Their idea would not grow to fruition, however, as soon a band of coral skippers engaged the lone fighter. The two Dark Jedi were no match for the Yuuzhan Vong, who greatly outnumbered them. They were quickly pulled into the Miid Ro’ik Merciless, the flagship of the invading forces. The struggle that Dismal and his master put up turned out to be futile; they were soon beaten into submission. They were each taken to a separate detention block, and were placed in an alien device called the Embrace of Pain. Pure, 100%, mind-numbing pain was all the pair felt for three days. Dismal feared death during his imprisonment in the Yuuzhan Vong ship. Fear like that hadn’t wormed into his heart since the Battle of Byfrost. However, in one shimmering moment of glory, his brother Galaphile had come to save him, along with adopted-brother Jaden Kyrath and Anochiir. Dismal and Scorpius were rushed to medical attention soon after rescue, where they would remain for the duration of the war. 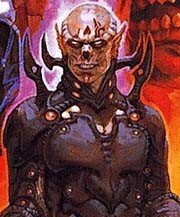 The Yuuzhan Vong were ordered to retreat from Jusadih by the Supreme Overlord for taking too much time. Clan Plagueis had left Antei, back to their home system where they could lick their wounds. House Exar Kun was relocated to Kapsina, due to the loss of their planet. It was during this time that Consul Aabsdu bestowed upon Dismal the Sapphire Blade for bravery and courage in a time of war. Along with the sacrificial award, he was also appointed to Clan Envoy of Plagueis, to better serve the Clan. After the Vong Invasion ended, Dismal served admirably as Knight Class Envoy of Clan Plagueis for a while, helping all of the new members get acquainted with the Brotherhood. Once Jagan was promoted to Quaestor of House Exar Kun, the position of Aedile was open. After many private talks with Jagan, the Kyandrian was chosen as Aedile of his House once more. However, nothing good would come from Dismal's short tenure - a few days after being appointed to his new position, he snuck away from the Jusadih system and the Dark Brotherhood. No one knew for sure where Dismal went, but it was rumored that he went to Dantooine. Ultimately, he would return to the Brotherhood, as it was his home. It was not long after Dismal got re-acquainted with the inner workings of Clan Plagueis and the Dark Jedi Brotherhood when a team was being gathered to recapture Clan Envoy Callus Bo'Amar, who had been kidnapped by the Crimson Tide. Eager to help destroy the pirate organization that he was once a part of, the Dupar contacted Alaris Jinn and was accepted into the team. They departed for the planet of Terifyn, a backwater world in the Mid-Rim. There, the Dark Jedi instantly made contact with the Tide; Dismal wasted no time, hacking violently at every pirate he saw. Moments later, the Plaguiean saw a presence he hadn't seen in a long while, nor had expected to see - that of Jonaleth Isradia. The Dark Adept gave Alpha Team, commanded by Dismal, an extra boost of morale, which assisted them greatly in finishing the contingent of pirates whom they engaged. Just as he thought he was ready to claim victory, Nemo Dupar, Dismal's nemesis, stepped into view. Galaphile and Dismal began dueling the older man. It had been no sooner than ten minutes into the epic battle when Nemo's apprentice, Semyon Cain, arrived to assist his master. Instantly, the two allies adopted an adversary: Galaphile claimed Nemo, while Dismal faced off against Semyon. Great barely described the duel of epic proportions; each had almost equal ability and the Force and prowess with a lightsaber. Cain managed to get a good hit in, which caused Dismal to fall to the ground. This did not phase the Sith Warrior, as he kicked his opponent in the groin with enhanced strength when he was within range. Taking full advantage of the situation, he violently hacked and sliced at his opponent, literally butchering him into pieces. Galaphile had managed to incapacitate Nemo, and he remains a prisoner of Clan Plagueis even today. Overall, the mission was a success, Callus had been rescued, and three major leaders of the Tide were felled: Alonzo Bodelle, Nemo Dupar, and Semyon Cain. Every participant in the operation returned to Kapsina satisfied. Plagueis had been victorious. For a time, Dismal was comfortable and content to be in Plagueis, serving his Clan. Soon, however, he began to have conflict with the leadership. His apprentice, Laigerick Ryokou-Amor, had applied for the open post of Aedile of House Exar Kun, a position that Dismal himself had once held. Having spoken with Quaestor Godo Nurok, both master and apprentice believed that Laigerick had the position. Both were shocked when it was announced that a Guardian of the clan, Ralph Vundu, was elevated to the position. Outraged, Dismal spoke with Consul Braecen Kaeth, who told him that he did not support the Quaestor's decision on the matter. He soon conferred with Mitsuhide, who had spoken with members of the summit as well, where it was revealed that Braecen had lied, as he had in fact supported Ralph in his plight for Aedile. Disgusted with the Plagueis summit, Mitsuhide left Clan Plagueis. Dismal, however, was torn. He questioned his loyalty to his home clan, and seriously debated departing the Jusadih system. One day, upon waking up from a night's rest, the Warrior was approached by a physician employed by Clan Plagueis, where he was informed that Mitsuhide, his good friend, and Derev were his brothers, each separated at birth. 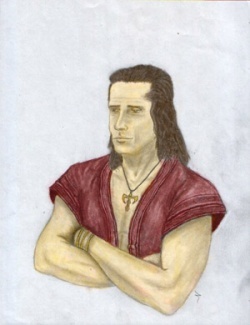 With this new found information, the man's decision was sealed: he would go to Clan Naga Sadow, where both of his brothers had already taken residence in. Also at odds with the leadership, Dismal's apprentice joined him. Both had now pledged their fealty to House Marka Ragnos, and each shared a bond unmatched by any other. Adding a portion to their birthnames, Dismal, Derev, Mitsuhide, Laigerick, and Kalei Basai became known as Ryokou-Amor, showing their dedication to each other. Now, Dismal still resides in Clan Naga Sadow, hoping to prosper and grow even more as a member of the Sith order.